The Type 60 SPRR is a light Japanese anti-tank gun armed with two recoilless American rifles. That’s right, recoilless! 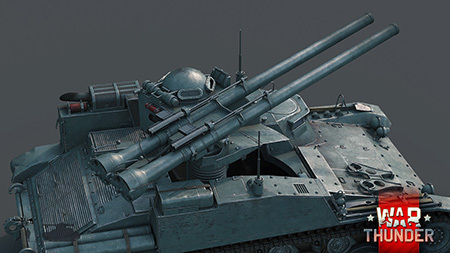 Unusual cannons like this are making their first appearance in the game. The Type 60 Self-Propelled Recoilless Rifle is a light anti-tank gun, one of the first developed by Japan after the war. In the 1950s, Japan was forced to deviate from its post-war development concept of exclusively peaceful industry and return to designing its own military vehicles. Apart from universal, but expensive-to-produce tanks, the developed countries of the world often held cheaper, but less effective anti-tank guns in service. Japan also decided not to become an exception. In 1954, the Komatsu and Mitsubishi companies received an order to develop and build prototypes of a new light anti-tank gun armed with two recoilless rifles. By 1955, the SS1 and SS2 prototypes by the Komatsu and Mitsubishi companies respectively were ready. Mitsubishi’s SS2 won favor in the course of testing, but Komatsu had no plans to give up, and in 1956, they presented a new prototype for testing with the index SS3, armed with 4 recoilless rifles at once. 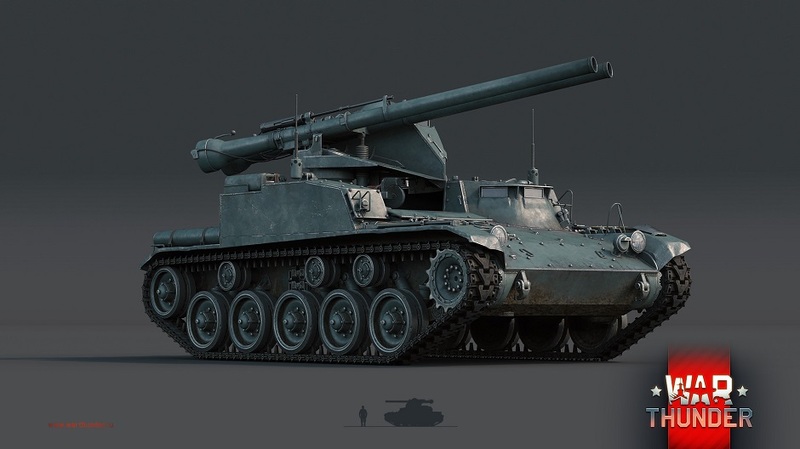 The installation of 4 guns later had to be dropped, since their position made the vehicle’s profile too tall and noticeable. By 1959, the Komatsu company had developed its fourth and final prototype, designated SS4, with a more powerful engine and new transmission. This was accepted into service under the designation Type 60 Self-Propelled Recoilless Rifle in 1960. By design, the Type 60 SPRR was an eight-ton armored vehicle with two twinned American 106 mm recoilless M40 guns mounted in the right side of the hull in a mobile mounting point. The mounting point had two possible positions. In the lower position, which was usually used when traveling, the guns had very limited vertical and horizontal aiming angles. In the extended upper position, which was the primary battle position, the guns could rotate and drop significantly better, which made them far easier to aim. For precise aiming, a high-caliber M80 machine gun was attached firmly above each gun. This machine gun’s shots had the same ballistic trajectory as those of the 106 mm gun itself. It should be noted that with consideration for the M40 guns’ limited ammunition complement, this decision was very fortuitous. To reload the guns, the loader had to go out onto the roof of the engine compartment located in the rear of the vehicle or stand completely behind it. The lightly armored Type 60 SPRR was intended for firing from ambushes without ever entering the enemy’s field of view. In total, 252 Type 60 SPRRs were produced, many of which still serve with the Japan Self-Defense Forces. 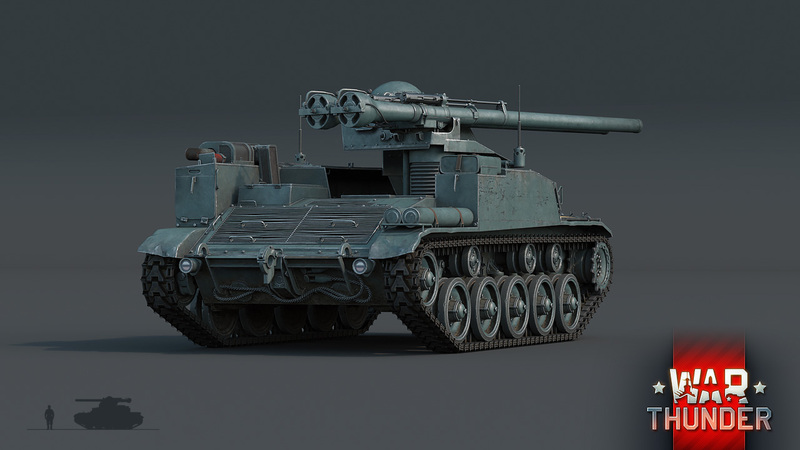 In the game, the Type 60 SPRR gun will undoubtedly garner sincere interest from players – after all, it will be the first vehicle in the game armed with recoilless anti-tank guns. Such an unusual weapon will of course possess its own special gameplay mechanics. For example, the “recoilless” nature of the guns will be clearly discernible in the weakened recoil after a shot, which allows you to more accurately correct your fire through the sights. Its limited ammunition complement of 10 shells will require greater attentiveness from the player in selecting targets and aiming, but the machine guns with the same ballistics as the cannons themselves will make this task far easier. 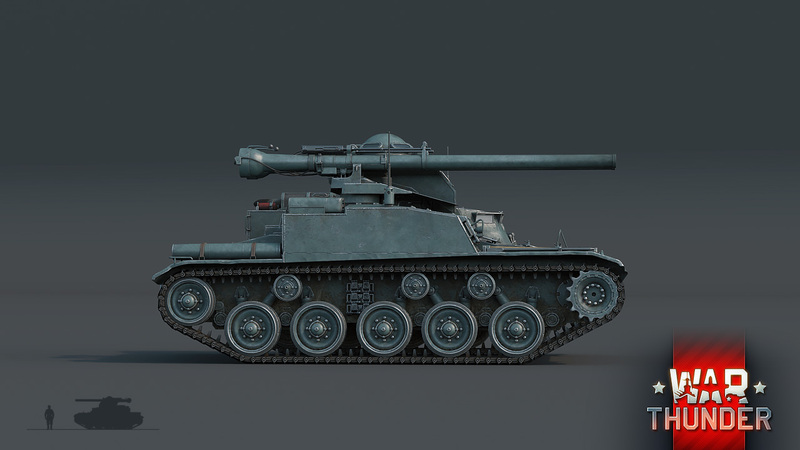 There are two types of shells available for the M40 cannons: HESH (high-explosive squash head) and HEAT (high-explosive anti-tank). The HEAT shell creates a fine directed stream of metal on a hit, penetrating the armor thanks to its huge speed. However, after the penetration, this stream can cause serious damage only to that which is directly in its path. Also, if necessary, the HEAT shell can be used as a simple incendiary charge against lightly armored or completely unarmored targets. The cannons have good vertical aiming angles of between -15 and +20 degrees, which allow you to actively use any terrain features without coming under return fire from your opponent. This light 8-ton vehicle’s 120 HP engine gives it good mobility and maneuverability, which only serves to widen your options for firing positions. Its bulletproof armor reliably protects the crew from random shrapnel and machine gun volleys from enemy tanks, but can’t withstand a hit from a larger shell, a fact that shouldn’t be forgotten in the heat of battle. 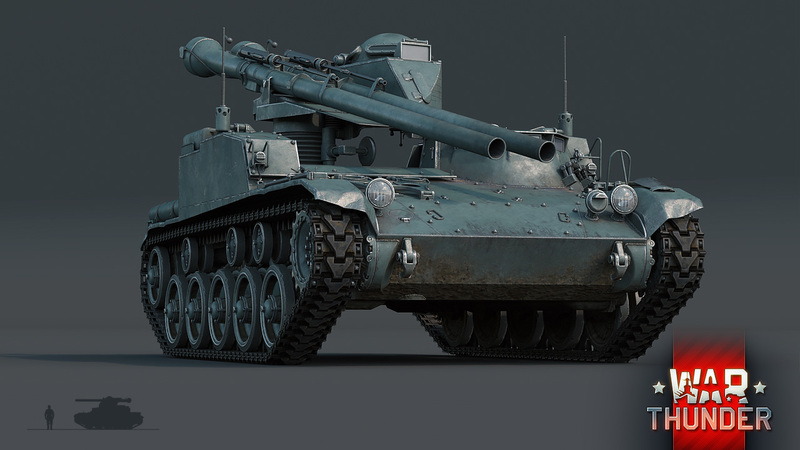 The Type 60 SPRR will take its place on rank four of the Japanese ground vehicle tech tree, and that means that its fearsome recoilless guns will be roaring on the War Thunder battlefields very soon for all! There is always some minor element of recoil. It eliminates most of the kickback, but it was never 100%. Smin1080p, M1 vs Recoilles rifle https://gfycat.com/MelodicVillainousHermitcrab M50 Ontos firing: https://www.youtube.com/watch?v=ZV_FQ0k42Sk M50 and Type 60 both uses M40 recilless rifle. Type 60 should not move an inch while firing. Yeah it shouldn't kick back even the slightest like it currently does in game. 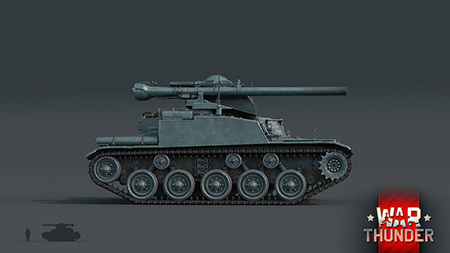 Does this mean we'll see the M50 Ontos? Looks awesome. Nice work gaijin! What if it had 4 guns in game? It would be OP!